Forget Siri. When Mark Zuckerberg wants an AI assistant, he recruits the "Voice of God." The Facebook (FB) CEO and cofounder posted a video teasing an artificial intelligence application on Tuesday that he built for his home, voiced by none other than actor Morgan Freeman. In October, Zuckerberg asked his followers for suggestions to be the voice for Jarvis, his AI tool inspired by Iron Man. Freeman was a top pick. Zuckerberg personally called Freeman to ask him to do it. Robert Downey Jr. had also offered his services. Like Amazon (AMZN)'s Alexa, Jarvis can be activated by voice (or by text) and connect with various objects in the home. 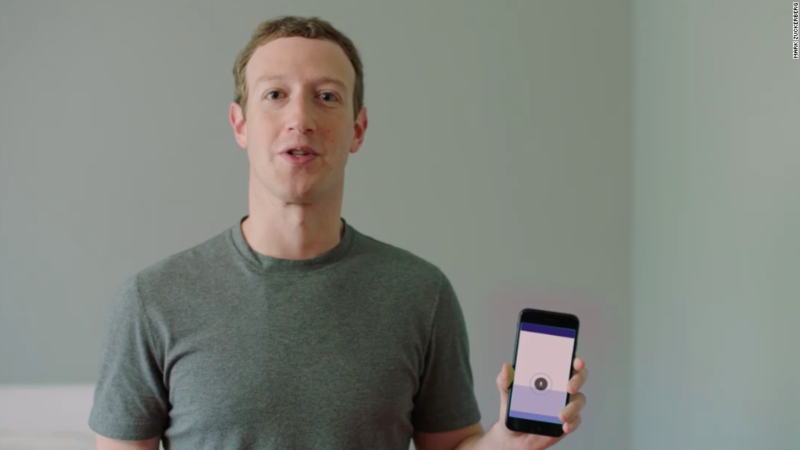 In the video, the assistant is shown adjusting thermostats, making toast for breakfast and buzzing Zuckerberg's parents into his home by recognizing their faces. Jarvis can also play music on command -- or choose not to, as the case may be. "Play us some good Nickleback songs," Zuckerberg asks in the video. "I'm sorry Mark, I'm afraid I can't do that," Jarvis responds with Freeman's iconic voice. "There are no good Nickleback songs." The video is intended to be a "fun summary and not a live demo," according to Zuckerberg. An actual demo provided to Fast Company proved to have a few more glitches when turning off lights and playing music. Zuckerberg made it his New Year's resolution to "build a simple AI to run my home and help me with my work." The project proved more challenging than he expected. He struggled to find appliances whose power could be controlled remotely by an app and had to figure out the nuances of language used to request songs. In total, he spent about 100 hours building Jarvis -- while running Facebook. "As the CEO of Facebook, I don't get much time to write code in our internal environment. I've never stopped coding, but these days I mostly build personal projects like Jarvis," Zuckerberg wrote in a Facebook post this week. In the future, Zuckerberg hopes to build an Android app for Jarvis and connect it to more appliances and rooms in his home. "My goal was to learn about the state of artificial intelligence," Zuckerberg wrote in the post, "where we're further along than people realize and where we're still a long ways off."